You know what? It has been a long week! Multiple 3:30 a.m. mornings, long nights, an off-campus training, and lots to do at work has made these past four days drag a bit. But let’s forget about that because it is time for the Thursday Rundown. Sid’s Birthday Evening – Because I published Sidney’s birthday blog post on Monday morning, I didn’t explain how we celebrated later that night. Thank goodness for the Thursday Rundown so I can follow up! When we got home that evening, Sloan and I huddled around Sid and sang “happy birthday.” She then opened her gifts. I gave her the heavy duty wok (don’t know what a wok is? 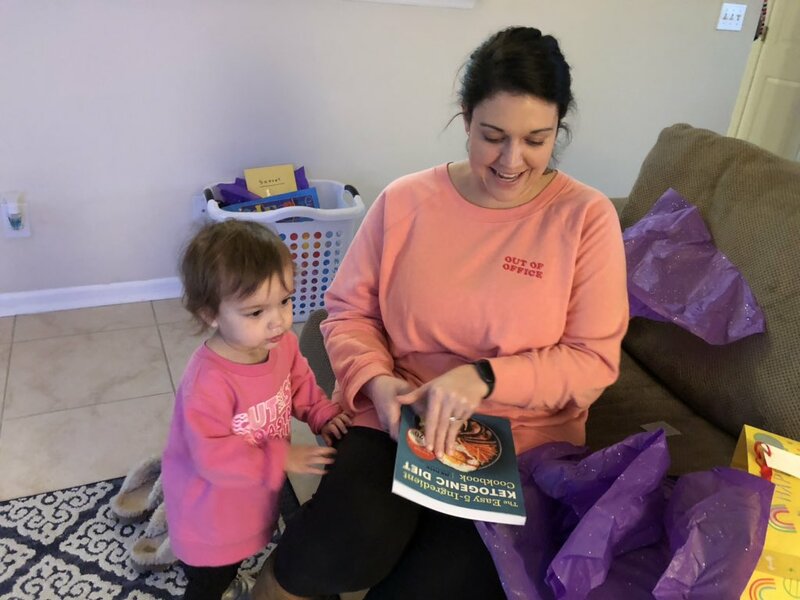 I didn’t either) she wanted and Sloan gave her a Keto cookbook. After the festivities, we took Sid to meet her teaching friend so they could travel to Columbia for the Money Matters Lobby Day that occurred the next day. Sidney opened her gifts from Sloan and I on Monday night. PIO Training – This evening I wrapped up Basic Public Information Officer training. Because I work in the University Communication office at CCU and because I deal a lot with the media and general public, it made sense that I completed the training. 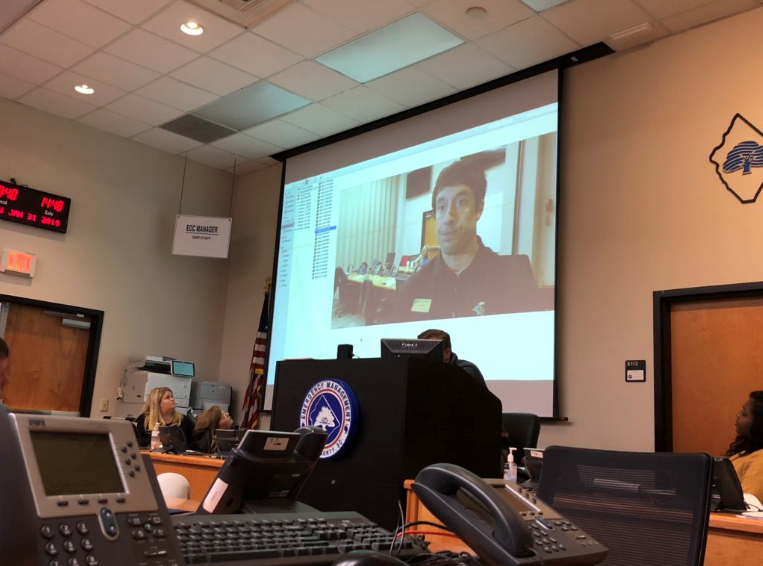 Derrec Becker from the South Carolina Emergency Management Division traveled to the Grand Strand to give the training in the emergency operations center of the Conway Public Safety building. He is an all-star in the PIO world and he taught me a lot over the past three days. During the training we did a lot including writing news releases, delivering mock interviews, meeting with actual media members, and participating in simulated press conferences. It was also a great networking opportunity as I met several area PIOs. Definitely a worthwhile experience! Part of the PIO training was learning to give a good media interview. We were filmed and then the interview was shown to the entire class to critique. That Time of Year – There is a local cupcake shop in Myrtle Beach that always gets into the Super Bowl spirit. This place makes wacky football-related cupcakes leading up to the big game. Three years ago, I tried two of the unconventional treats – the chicken wing flavor and the Bud Light flavor. 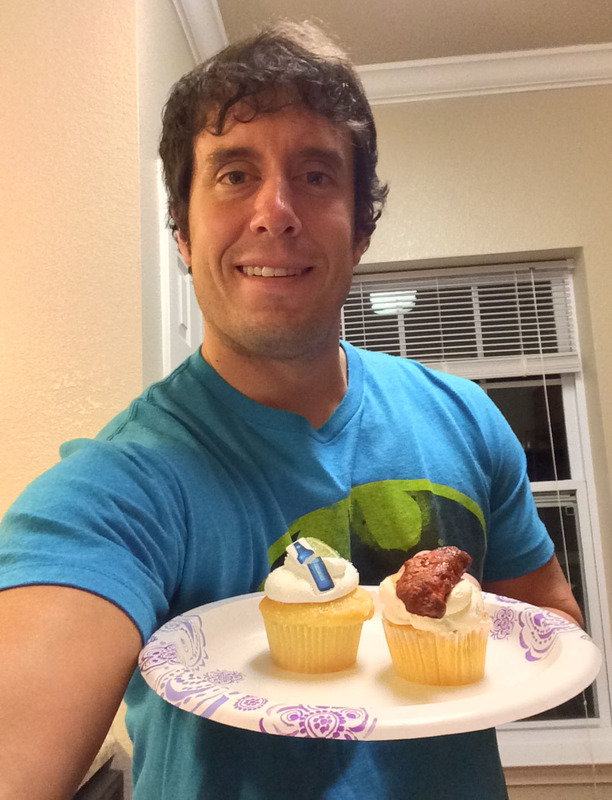 To be honest, I didn’t particularly care for either of them but the Bud Light cupcake was much more pleasant than the chicken wing one. Because this is one of my favorite Don’t Blink posts of all time, I like to share it the Thursday before the Super Bowl. Coccadott’s in Myrtle Beach offers some special cupcake flavors during Super Bowl week. How Do You Draw an X? – Over the past couple weeks, I have seen the below chart circulate on Facebook. It wants to know how you draw an X. Is this really a debate? I mean isn’t there only one natural way? Who in their right mind would ever attempt to write the letter any other way than option #7? Alright, let me concede that there is more than one way to skin a cat. However, in my life, I have always written the letter X by starting at the top of each intersecting line. How about you? 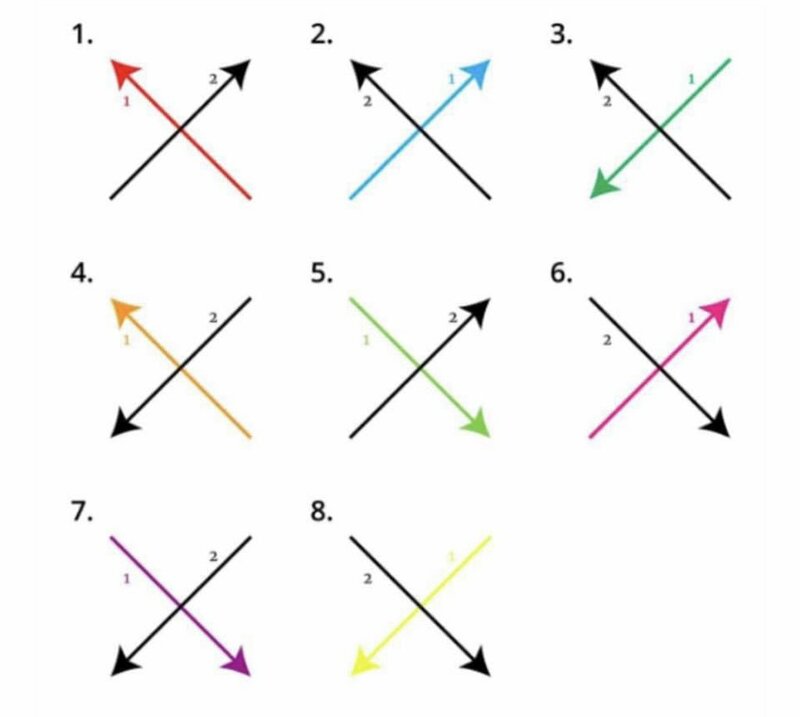 Isn’t there just one way to draw the letter X? Super Bowl LIII – Yawn. Sunday’s game doesn’t excite me too much from a matchup perspective. My hate of the New England Patriots has lessened a little so I don’t have my normal incentive to watch intently in hopes that Tom Brady has a terrible game and the Pats lose. Maroon 5? I could care less. However, as usual, I will sit on my couch with some junk food and take the spectacle in. I will pay close attention to the commercials and enjoy Americana at its finest. My prediction? Although I still hope they lose, I am picking the Pats to beat the Rams in overtime (for the sole purpose that we all get free wings), 33-30. I am spent! It is time to get some rest and prepare myself for a full day in the office tomorrow. Hope everyone enjoys the Super Bowl and hopefully it will give me something to blog about next week. Don’t Blink. This entry was posted in Uncategorized and tagged Coccadotts, Coccadotts Cake Shop, Coccadotts Myrtle Beach, Derrec Becker, public information officer by brent. Bookmark the permalink.